I had a great shoot with the lovely model Heather. She would like to have some beauty lighting images. So of course we did a shoot with that lighting setup. 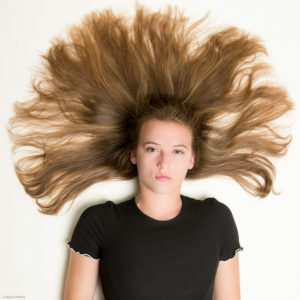 One of the characteristics of that type of lighting is the fact that the hair needs to be pulled backwards across the head in a ponytail in order to see the contours of the face and neck. The ponytail itself is kept out of sight in order to prevent unwanted attraction in the image. 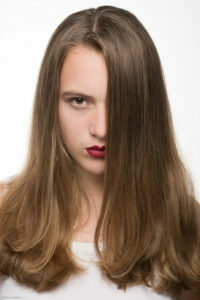 Despite the ponytail concept of beauty lighting we also did some shots with Heather’s beautiful long hair. Beside the beauty shot we dit some ‘sunny hair’ shots where the hair is spread evenly across Heather’s head. We even had a lovely assistant during the shoot. 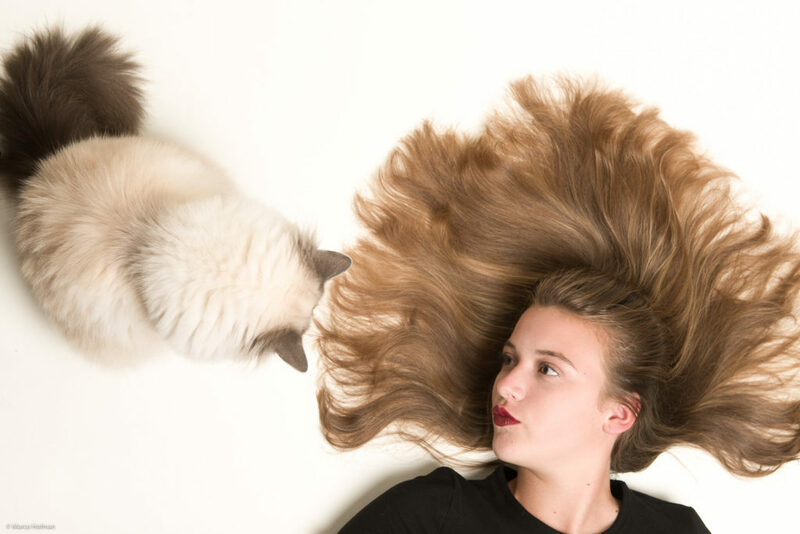 For the ‘sunny hair’ shots I used one studio flash with a large soft box. For the beauty light shots I used two studio flashes. One studio flash with a small soft box as a key light from above which was filled in with a reflector below. And a second large soft box behind her which created the white background. Here are some of the results of the shoot. Thank you Heather for being a lovely model with a great expression. I had a great time during this shoot.